EmuOutfitting Peacock Bass Association with fishing trips to the Amazon for peacock bass anglers. 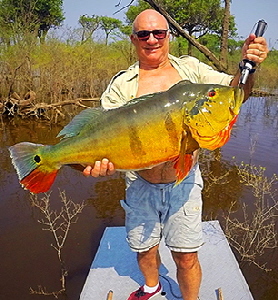 Jim Kern of the Emu Outfitting Company in conjunction with River Plate Anglers will be offering single occupancy cabins on River Plate's exclusive fisheries from October through the end of February for the 2016 - 2017 Peacock Bass fishing season in Brazil's Amazon. These single occupancy Safari Camps will consist of six 250 sq ft fully air-conditioned floating cabins, each featuring a queen bed & private bathroom and shower. Jim, with 20 years of experience in the Amazon, has tailored these camps for the upscale international angler to provide private accommodations for groups of 6 individuals or 3 or 4 couples in the remote exclusive access black water tributaries River Plate leases from the indigenous Indians.Some of the rivers fished are the Jufari, Xeriuni, Itapara and the Omero Lakes. Get away from the mass of 30+ mother boats that fish within 100 miles of Barcelos & experience the high quality Peacock Bass fishing we experienced in the late 1990's. 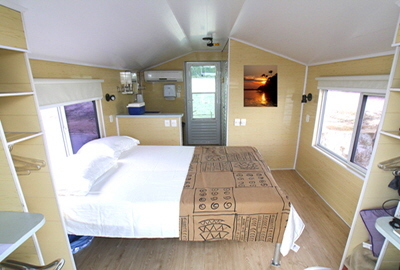 Trips will also include private hotel rooms at the Caesar's Business Center in Manaus, private R/T Caravan wheel or float plane charters between Manaus and the camps, daily maid and laundry service, upscale dining, beer, wine and liquor, bottled water and soft drinks.